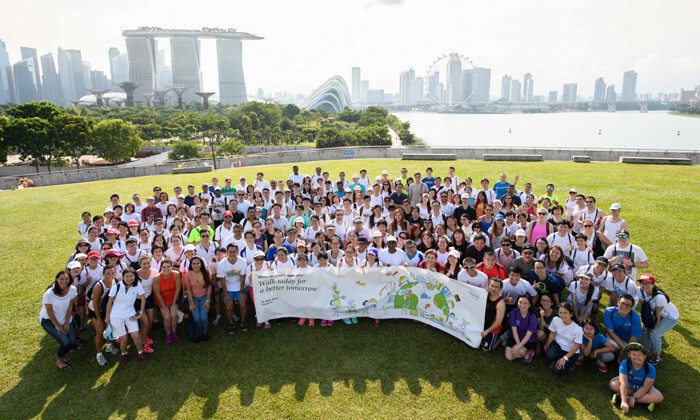 Last Friday, Roche Singapore raised S$130,000 for for Singapore charities and children in need in developing countries when more than 270 employees got together to take part in the Roche Children’s Walk 2017. This year, the global pharmaceuticals and diagnostics company donated half the funds from the annual company-organised walkathon to local charities Club Rainbow Singapore and Children’s Cancer Foundation, to provide support to children with chronic and life-threatening illnesses and their families. While the remaining will go towards children’s initiatives in Malawi and other developing countries to foster sustainable change by contributing to educational infrastructure, training future teachers, building skills capacity, and improving health and sanitation. Launched in 2003, the Roche Children’s Walk is a global company-wide event which has seen more than 200,000 employees participating, raising more than CHF 15.4 million. The company matches the money raised by employees dollar for dollar. 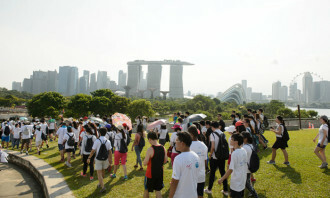 Goh Chor Lim, head of HR, Asia Pacific, Roche Diagnostics revealed that while the event is global, each market is free to organise its own walk and fundraising activities. In Singapore, she shared that the event is a collaborative effort and is organised by a working group of volunteers from across all sites and departments, from the communications team to IT and engineers. 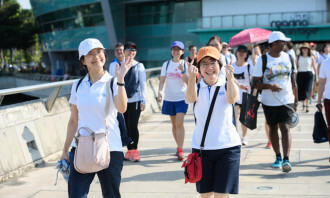 “I am proud to say that participation in the Walk and fundraising activities tend to happen organically at the ground level – it truly is an employee-driven campaign,” she said, adding that this ground-up approach means employees really own the event and are inspired to make it a success. Sharing about how the company communicated the event to employees, Goh said: “Communications begin around 2-3 months before the walk to raise awareness of the purpose and the charities. 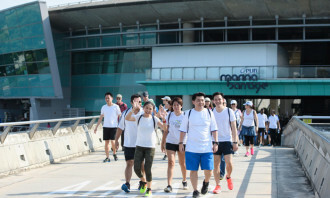 “Our staff also organised their own fundraising activities early and this year they came up with some very creative and unique ideas, including Mother’s Day hampers, lucky draws, car washes, pledges, ‘build a bear’ sessions and even guided walks around Sungei Buloh nature reserve. As with organising any large-scale-company event, multiple coordination points are needed, Goh revealed. “Team morale was high on the day, particularly as the sun was out, and our staff have been talking about the Walk since Friday. “We have had great feedback internally on the value of the initiative and several people said they met new colleagues in the process – an added benefit of bringing everyone together for fun and for a great cause. Thirty three hospital staff have been reprimanded for accessing and spreading confidential documents related to a patient who had .. The company's CFO affirms the multilingual talent pool with medical, HR and IT engineering qualifications available as one of its ..